Never be­fore has man known so much ter­ror and bru­ta­lity as in our ti­mes. How can one pro­tect one­self? By look­ing away? But hey, that wouldn't be right! 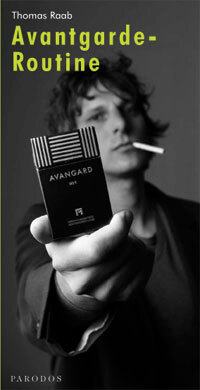 Black hu­mor has pro­vided effec­tive self-­medication in this con­text since an­cient times. Alas, the dose ad­minis­tered through the clas­sical antho­logy by André Bre­ton is way too low to­day, its ef­ficacy being par with a pla­cebo. For­tunate­ly, however, Dr. Raab is here to help! His fine new selec­tion of poe­tic and sub­tle every­day deli­rium from famous and bril­liant minds of all ti­mes not on­ly guaran­tees the spar­king of ideas but also lets you per­sonal­ly enjoy a world no lon­ger held to­gether by evil but by a sil­liness far greater. War­ning: May con­tain tra­ces of science! For almost 40 years the Austrian-born writer and cog­nitive scientist Oswald Wiener has been working on a psy­chology of thought in order to explain human intel­ligence. To this end he took up the method of intro­spection hitherto ideo­logically neglected due to the strong behavioral bias in academic psychology. To gain intersubjectively comparable observations he developed an objective notion of structure derived from automata theory applicable to describe subjective data. In the past ten years a working group has formed around Wiener whose current state of debate is do­cumented in this book. Following a programmatic intro­duction and Wiener's two pivotal essays on elementary facts of intro­spection it charts out a wide field of inquiry do­cumented by the results of several topical (self-) experiments. In the face of today's failing phan­tasies of omnipotent statistics Introspection certainly deserves a wider public interest. We are in the capital city of one of the union states in 2025. Society is functioning. Each person feels individual. Still, small enhancements are always advisable. Franzer, a former psychology professor now serving the interior ministry, tries to convince Miss Buresch, his favorite Ph.D. candidate, to collaborate in the development of a computer therapist - the "cyberist." This advanced machine learning program is already effectively furnishing clients with uplifting fables. In order to persuade Buresch, both of them wander through a social world miraculously stabilized into a few social segment catered to by their respective customized state, or private services. Together these segments form the Network Orange. Still a small group of students dissents. Behind the seemingly perfect fa�ade, Jack, Caren, and Cathy suspect an arcane plot regulating supply and demand. Is this a utopia or a dystopia? Or, is the Network Orange already real now? 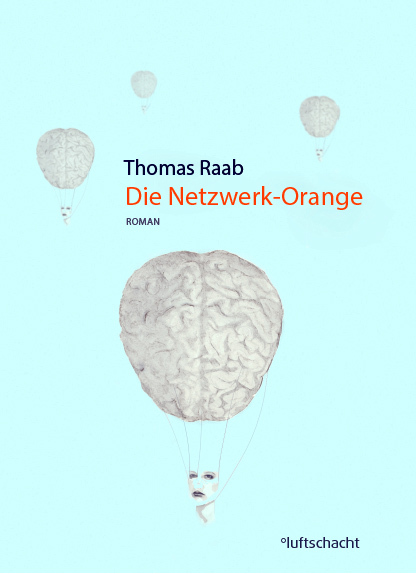 Thomas Raab's novel asks what remains of the individual within the "behavior box" we call our world, if we reduce the stabilizing influences of the net. In the dry language of a report, and with ample irony, the author re-enters the literary stage after 10 years of absence trying to recuperate the task of veridical social description from the statistics of the social sciences. Why are avant-gardes impossible in today's arts? This question would be entirely academic if artists were not themselves still psychologically dependent on the utopian idea of their endeavours' having a pioneering social function. 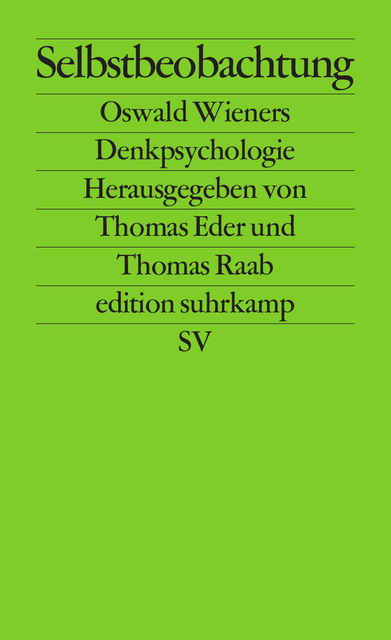 A writer himself, Thomas Raab sets out to trace the causes of the avant-garde in economic conditions, urban demography, and the general orientation of the public. He reconstructs the development of avant-garde movements in the 19th century out of Romantic motives and follows their traces in today's subcultures, the cultural impotence of which is at least contrasted by its economic success. As a small guide for practitioners The Avant-garde Routine demolishes modern illusions about art thereby opening up the perspective of a more powerful illusion: that of a mechanistic self-understanding. "With a sober humour, the author (...) characterises the artist as a 'willing worker' off the track of well-worn career paths. The originality of the essay lies in its classification of artistic personalities as wheels in the workings of the social machine." Almost forty years ago in his book "The Society of the Spectacle", Guy Debord formulated the last fundamental critique of the era of the entertainment industry. It clearly did not change much, though. The repressive power of entertainment is still contrasting increasingly with the cosy shivers of the entertained. How is this possible? 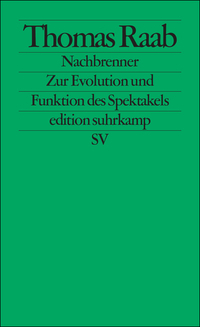 Thomas Raab takes an unusual perspective on the phenomenon: Mass entertainment is not a degenerate form of former high culture, but the necessary consequence of the biological design of man, on the one hand, and the economic development, on the other. His empirical search for an evolutionary 'basis of mass aesthetics' leads him from a fictional protocol of a casting show to numerous observations on himself and small children, as well as on the reactions of his cat, to dogs' howling. The resulting elements of a new, scientifically based aesthetics help to understand the inconsistent function that the spectacle plays within today's capitalism. 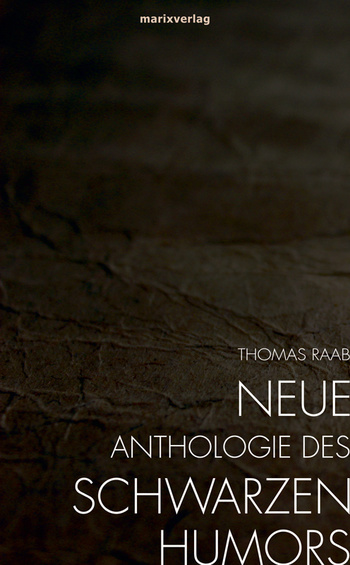 at EUR 10,- plus shipping costs!! 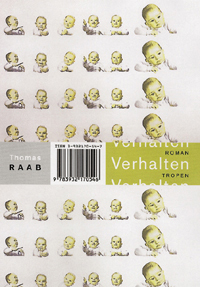 In his debut "Behaviour", Thomas Raab takes a particular event as a starting point that not only shattered the Austrian public some time ago, but which was also accompanied by the typical reactions of tabloid journalism: The wife of a recognized Viennese psychiatrist attempts suicide by jumping out of a window at their fourth floor apartment after having thrown out their children. Raab declaredly renounces any research into the details, but instead fakes a family drama which he works up into a behavioural model within an urban-life reality. The anonymity of the protagonists transforms them into wildcard characters with an observable procedure for their behaviour within any Central European city. Social structures, cultural processes, and everyday life are described in a reserved language, which, in its alleged austerity, culminates in a cutting humour. The second part of the book is written from the perspective of the hospitalized mother, who seemingly shows her thoughts and feelings in a dense and enigmatic language. The subtle composition, the close connection of scientific and poetic language, as well as the empathy of the author with his characters have resulted in an extraordinary debut, illustrating not only the violence and the failure but also the position of love within our society.